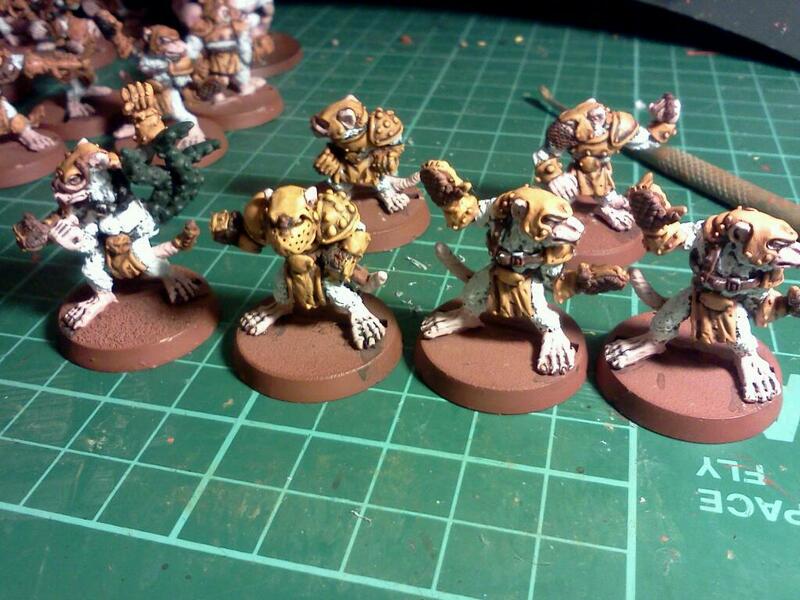 With the Dark Angels on hiatus until I've looked at the Codex and decided [read up on the nets what I should take] what I want I continue apace with the Skaven Blood Bowl team. 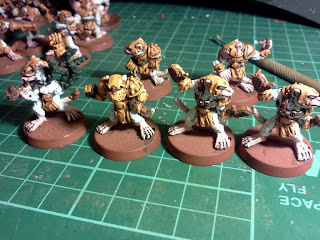 I'm not sure why, originally the local friendly neighbourhood gaming club was going to have a tournament in June/July 2012 but given the change in the organising team I think it was shelved. 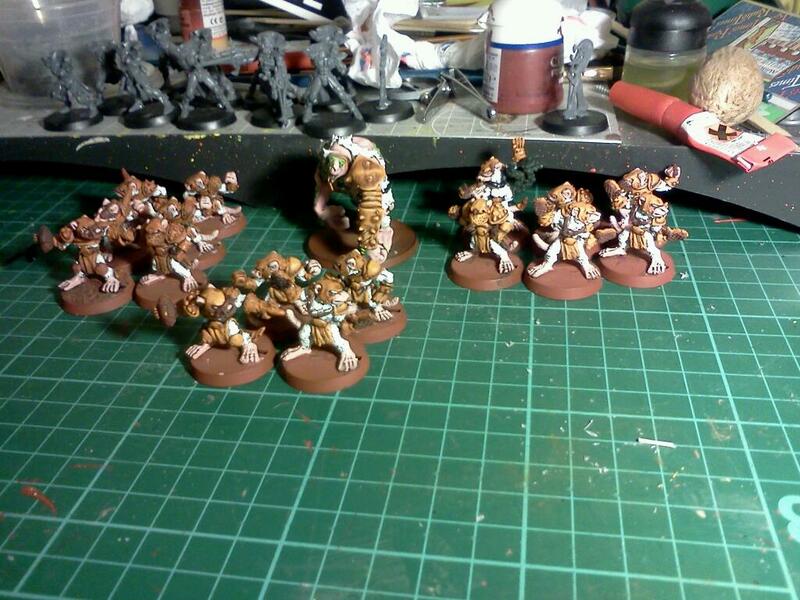 Still I've never had a fully painted BB team and it's on my To Do List 2012/13 and it keeps me off the streets. 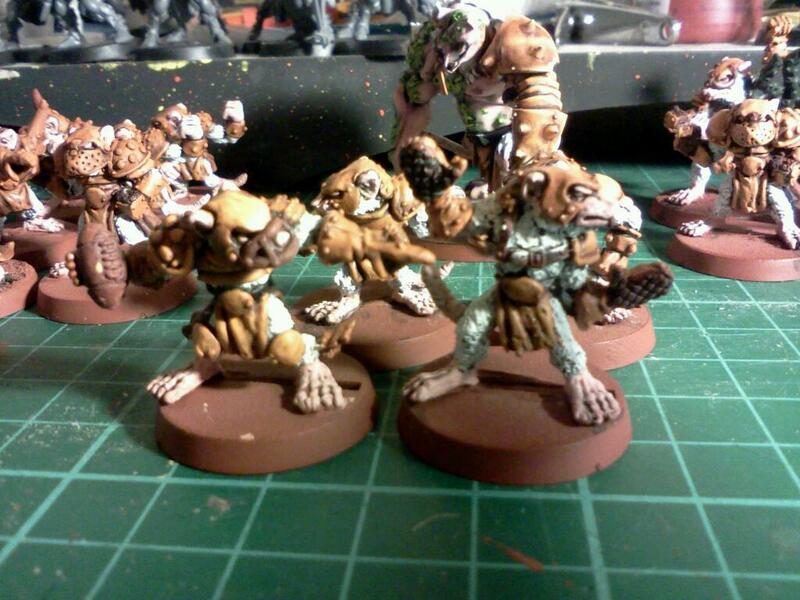 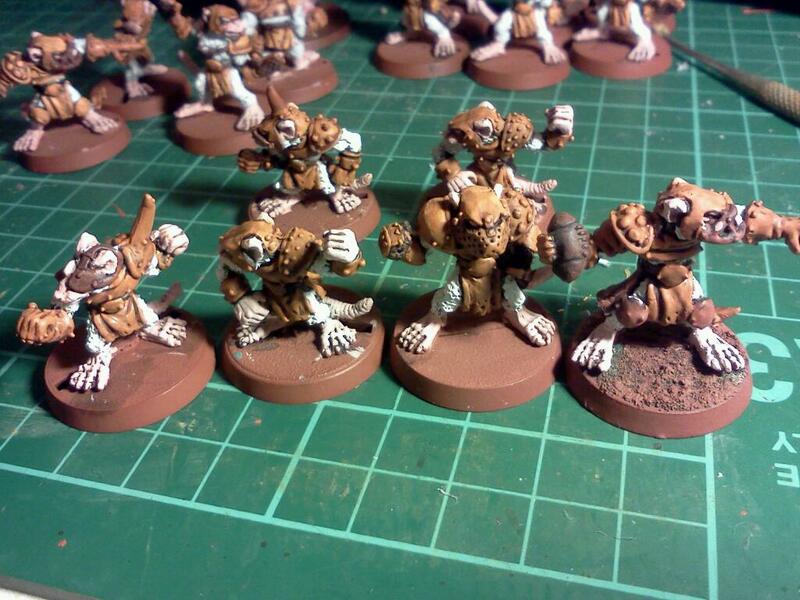 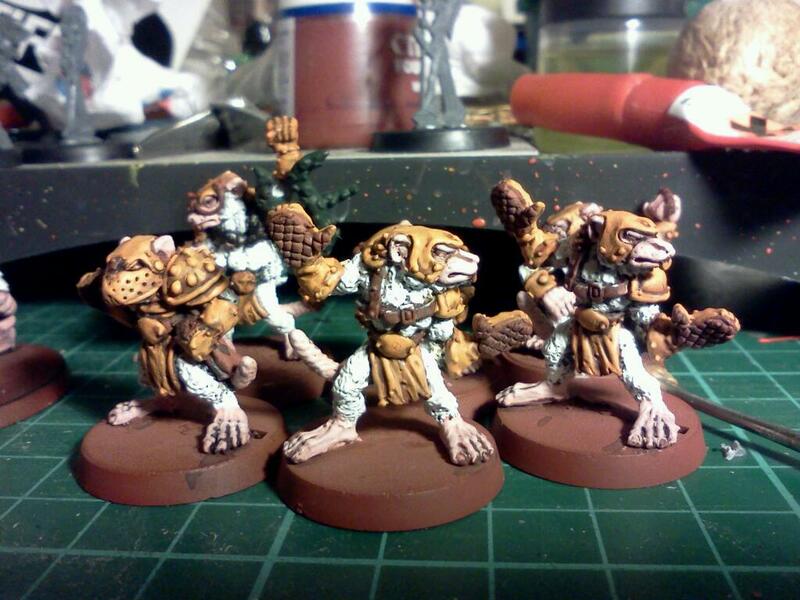 Having surprised myself with my Rat Ogre effort I continued the application of orange to the 16 remaining rat-men. 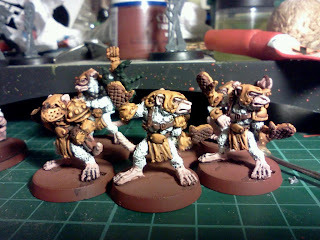 I think at this stage there was another set of highlights to do and then some very fine bonewhite bits as the most extreme highlights and areas of wear on the likes of the rips and torn edges of their loin cloths. All the studs will be highlighted once, and any buckles, metals will be silver with some rust effects on it. Then there's just the bases, which will be brown or 'mud planet basing' and that may even spawn a thread of it's own because the technique is really clever, I bet you can't guess!